New book, 224 pages. 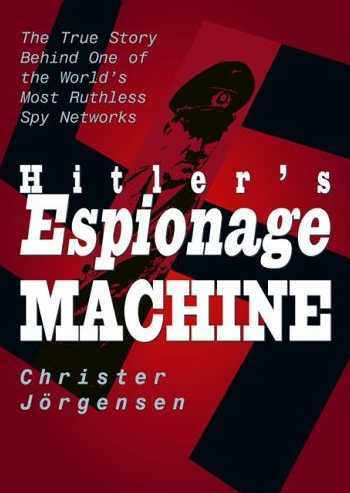 From the roots of the German SA, or Stormtroopers, grew an espionage machine that rivaled and vexed the rest of the world through the thirties and right up to the final days of World War II. The SD, Abwehr, Gestapo, and many other units of the German intelligence operations were feared and hated, with good reason. This is the thrilling story of their ascent and demise. This book examines in detail the history of each unit, its formation, the missions it carried out, and its importance in the was as a whole. It explores the myths that have grown up around the agencies, including the rumour that many of them are still active. It exposes the competition between the German agencies for Hitlers favor, and analyzes the effect this had on intelligence collection and dissemination, with particular focus on the notorious rivalry between the SS and the Abwehr. Drawing on first hand accounts from the men who took part, as well as exhaustive research, this book argues that Hitler's intelligence apparatus was as intrinsic to his success as to his failure. It is a tour de force of intelligence writing. This item was added to our catalog on Thursday 17 January, 2008.